Peter Sommer, head of a "two-man editorial team", is a director and fan of the first rock nights. 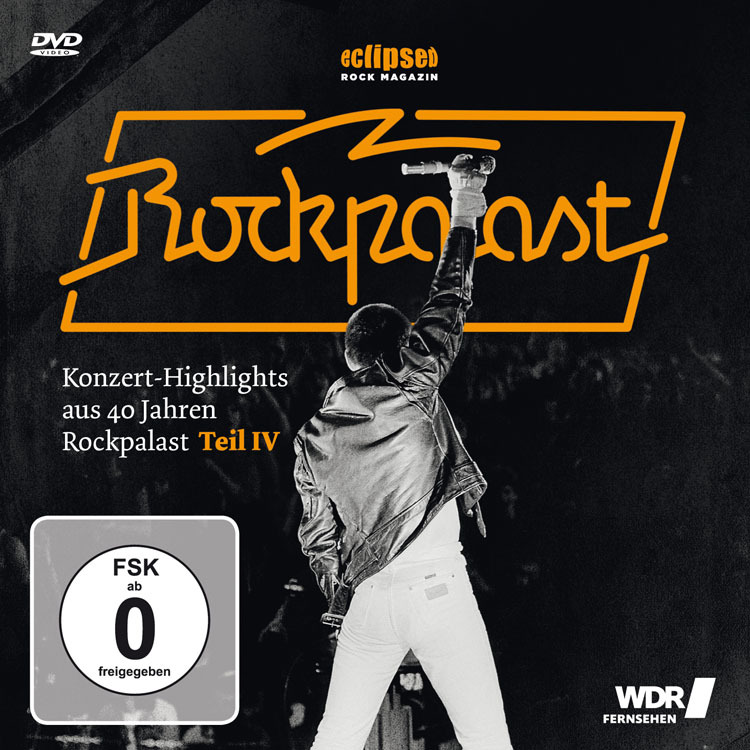 However, his dream job of directing at Rockpalast was occupied by the man of the first hour, Christian Wagner, who had launched Rockpalast together with Peter Rüchel. Sommer took the detour via the WDR jazz editorial office before finally replacing Peter Rüchel, who had retired for reasons of age, in 2003. "Peter did not leave his chair voluntarily and did not make life easy for me as a successor. There was practically no relay handover. While singer Hansi Kürsch is busy with vocal recordings in the studio (and still provides us with a fantasy top 5 list), guitarist André Olbrich talks to us about the logistical challenges of the double live CD "Live Beyond The Spheres" and the long-awaited orchestral album. Beyond that he goes with us on trace search for a genre called Fantasy Metal. eclipsed: You have put a lot of effort into "Live Beyond The Spheres".. Fish is in a good mood when we catch him on the phone. And this despite the fact that he has only just overcome a difficult situation. Only a few days before the interview he had to go to the emergency room of a hospital because he had signs of a heart attack. In the end, the whole thing turned out to be quite serious, but easy to treat cardiac arrhythmia, so that Fish gives us information in the usual chatty mood. Since 2015, The Black Crowes, the band that guitarist Rich Robinson founded in the mid-1980s as a singer with his brother Chris, two and a half years his senior, and which became one of the most important rock acts in the USA in the 1990s, have been history. While his brother with the band Brotherhood (new album: "Barefoot In The Head"; see reviews in this issue) became a big hit at some Jamrock festivals, especially in the States, Rich got into a bad way with his solo band and solo albums (the last one was "Flux", 2016). African cult masks plus Belgian suit types are not exactly what one understands by a "natural symbiosis". But why strive for natural symbiosis when you can create your own?! And so on the cover of the new Triggerfinger album you can see a head sculpture inspired by African masks: "Colossus". Artist Victor Robyn formed them from clay, photographed them, then Photoshop came into play. Ritchie Blackmore (72) is secretly delighted that after two decades he still gets off on his medieval pop band project Blackmore's Night. After all, nobody had expected that the Deep Purple and Rainbow guitarist would turn his back on hard, loud rock music and only return to it part-time in the autumn of his career (more about this in the second part of the interview in the next issue). eclipsed: How much Blackmore is in Blackmore's Night? With his second album "The Ocean" Philipp Nespital has produced under the name Smalltape one of the best German self-productions of recent years in the melancholic art rock sector. A full six years have passed since the debut album "Circles", during which Nespital, who comes from Neustrelitz in Mecklenburg, has developed enormously. As a supplement to our short feature here is a more detailed interview with the 29-year-old multi-instrumentalist who is responsible for vocals, keyboards, piano, guitar & bass as well as drums on "The Ocean".